Here is all the colour and craft of Thailand; vibrant saffron robed monks, vast stretches of green paddy fields and the artistry of the Northern Hill tribes. Photo copyright Mandarin Oriental Dhara Dhevi. Spread over 60 acres of natural landscapes we offer a self contained world of beauty, incorporating serene paddy fields and exotic plantation. 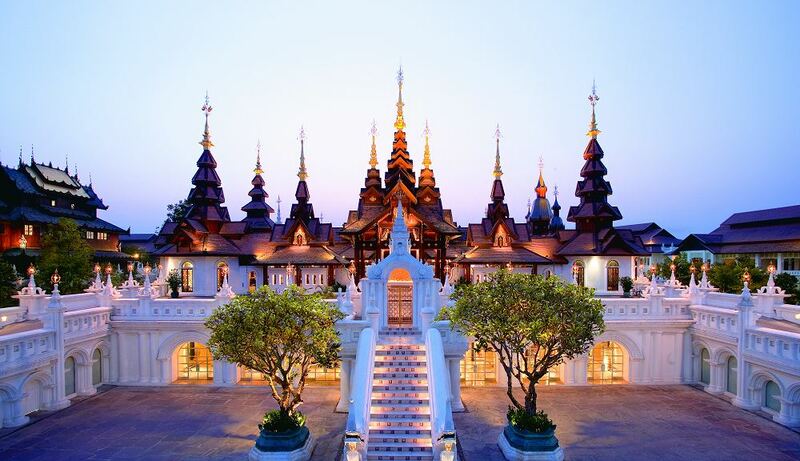 Mandarin Oriental Dhara Dhevi is the area's only luxury hotel and resort where you can enjoy one of the world's most beautiful spas and surround yourself with the rich heritage of the Lanna Kingdom.